Just how far are people willing to go to look for love? 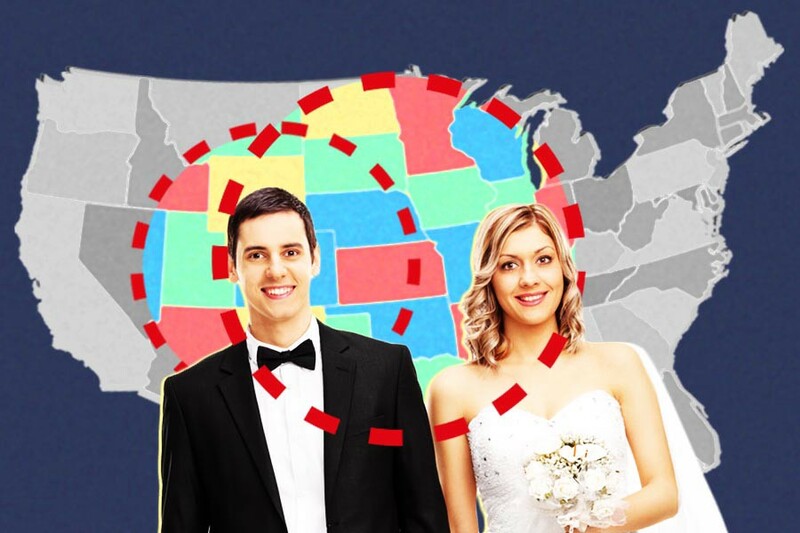 About three states over, according to a Time analysis of 116 million marriages between people born in different states. Yes, you can talk to anyone anywhere with the click of a profile pick, but you’re still more likely to marry someone you can reach by sundown for dinner. To be clear, while Texans are much more likely than most other people to marry a Louisianan, there are still more total marriages between Texans and Californians, since California is such a large state. This map compares marital rates to the national averages so that the results are not weighted toward high-population states. Otherwise, just about everyone’s “soul state” would be California. The data are interesting, but the idea here is not new. Predictably, we fall in love with people around us because those are the people we interact with. A recent study of 1,000 heterosexual couples found that people choose mates from work or school with similar backgrounds over and over again. While this is pretty obvious, it’s also reassuring on some level. Swiping through endless dating profiles across a glut of apps creates not only the illusion there are millions of people out there just for you, but the anxiety that you can never narrow it down to someone you’ll ever be able to stand watching a movie with. But it isn’t true: Your choices are fewer than you think, and the person for you is not flung all the way across the globe just staring forlornly into a phone screen right now. They are definitely staring forlornly into a phone screen right now, but at least they’re in your time zone.